Agency roles can be hard to pin down. This guide will help you zero in on the most important roles in an agency and how to hire for them. Agency roles can be surprisingly hard to pin down. While you might have a clear division into separate departments - creative, management, sales, and support - the specific roles in them can vary a lot across agencies. Creative agencies are also notorious for coining new titles to replace more traditional ones. Thus, you might have a “director of innovation” replacing a creative director. Or a “VP of client happiness” replacing a client services director. Regardless of the title, the actual responsibilities of these roles remain essentially the same. An account manager, no matter what he/she is called, is still the person responsible for dealing with clients and their needs. If you’re looking to grow your agency, you need to have clarity on all the roles that make up an agency. You might choose different titles, but you should understand the scope of the responsibilities and how to hire for them. I’ll share answers to all these questions below. Account managers develop long-term relationships with clients and connect with key stakeholders and business executives. Account managers also work with both internal teams and customers to ensure solutions are delivered in a timely and successful manner. They also work to maintain favorable relationships with clients. Account managers usually report to the account director, but this can vary in each agency. Their key responsibilities include being the primary point of contact with customers and building long-term relationships with them. They act as middlemen, communicating for the customer and the agency and ensuring both parties are happy. They give regular detailed progress reports and keep clients satisfied with exceptional customer service daily. They also monitor and analyze how customers use their products. For example, here’s a job ad for an account manager at Deloitte. Note the range of their responsibilities. Help customers with a variety of tasks and tools, including email, phone, and online presentations, in-person meetings or video chat. Deliver timely and successful solutions according to customer needs. Forecast and track important metrics and help onboard new clients by working closely with the sales team. Account managers are proficient in several areas, including teamwork, relationship building, planning, people skills, prospecting skills, customer focus, and attention to detail and taking initiative. Additionally, they have excellent communication skills, including listening, verbal, and written skills. They also have strong presentation and negotiation skills. Skilled account managers typically have prior agency experience. Ideally, your top candidates would have worked in agencies of similar or larger size than yours. While a college degree isn't necessary, it can be a good way to filter candidates. MBAs usually have the educational know-how to excel in these roles as well. Try posting your job on Workamajobs for free to hire agency-ready account managers. Although some agencies combine these two roles, having a separate project manager can make the life of an account manager much easier. While account managers strategically manage relationships, project managers are focused on the details. They coordinate between the different parties involved and manage deadlines, resources, and tasks. Project managers oversee the coordination of teams and individuals to create, develop, and deliver ads and campaign. They’re responsible for quality control, budget, and scheduling. All the planning, monitoring, and execution in a project typically falls under the domain of the project manager. They typically report to account managers or directors. For example, here’s a job listing for a project manager at Corra. Notice how the responsibilities differ from an account manager’s. The latter is focused more on managing clients, while the project manager is more internally aligned. Project managers are always on the go and have little downtime. They have to get things done or ensure others get things done. They start their day with a to-do list and then dive in. They might meet with several people throughout the day both inside and outside the agency. They also do a lot of research for presentations and for tracking results. Lastly, they constantly check in with multiple parties for status updates. Project managers have exceptional organizational skills, the ability to multi-task and strong communication skills. They understand project management processes, workflow, and terminology. And they thrive in a fast-paced environment where meeting deadlines is essential. Great project managers are meticulously organized and excel at paying attention to details. They are also strong communicators with an ability to convey complex information clearly and succinctly. Your recruitment process should, thus, focus on evaluating these qualities. Project management certifications are a strong indicator that the candidate has the necessary PM skills to handle complex projects. Prioritize these over other qualifications. Account Manager vs Project Manager: Who Should You Hire? Creative directors lead the creative efforts at advertising agencies and marketing companies. They work with all the other creative roles in the agency including artists, designers, copywriters, marketers, and sales teams. Their main role is to create a vision for the products sold. Creative directors plan the advertising, supervise and direct the creative process, and lead the creative people working under them. They oversee and ensure all creative products produced by the agency meet quality standards. They usually report to the chief marketing officer. For example, here’s is a job ad for a creative director at Knotel. The creative director occupies a fairly open-ended position in an agency. The range of responsibilities covers anything and everything that might be needed to help a client’s brand and the agency succeed. Creative directors work closely with and collaborate with agency leadership and account service teams to attract and retain business. They provide creative inspiration, direction, and guidance, as well as performance management to creative team members. They play an active role in business development as well. Clients often come to an agency because of the reputation and quality of its creative director(s). Lastly, they help build and maintain long-term client relationships, both through the quality of their work and client communication. Great creative directors understand industry trends, including digital, advertising, and media. Using this knowledge, they offer ideas to the client and the agency to help increase business. They communicate ideas and concepts to others through various channels. Most importantly, they’re strong creative leaders with proven creative execution. Great creative directors combine creativity with strong management and leadership skills. This can be one of the toughest positions to hire for given the subjective nature of creativity. Hire slowly, carefully; the quality of your creative director will have a marked impact on the quality of your agency. Try posting your creative director job on Workamajobs to get resumes from the top candidates in your field. Posting a job is free and takes just a couple of minutes. Traffic managers work very closely with members of the creative team and the account management team to assist in the efficient workflow of the agency. They ensure that the work runs smoothly from start to finish: from the initial brief all the way to being released to the public. The traffic manager may also be called “operations manager”, “campaign manager”, or “ad traffic manager” in some agencies. This should give you an idea of their core responsibilities. Traffic managers typically report to company directors and are responsible for keeping everyone on task and all projects on deadline. They handle logistics and continuously update all parties on the project progress. Since the breadth of their responsibilities is closely tied to media buying, traffic managers also work to ensure that tracking, reporting, and billing are working optimally. By and large, traffic managers act as the point of contact between sales, accounts, and clients. It’s their goal to make sure that the metrics clients care about are being fulfilled by the campaign. 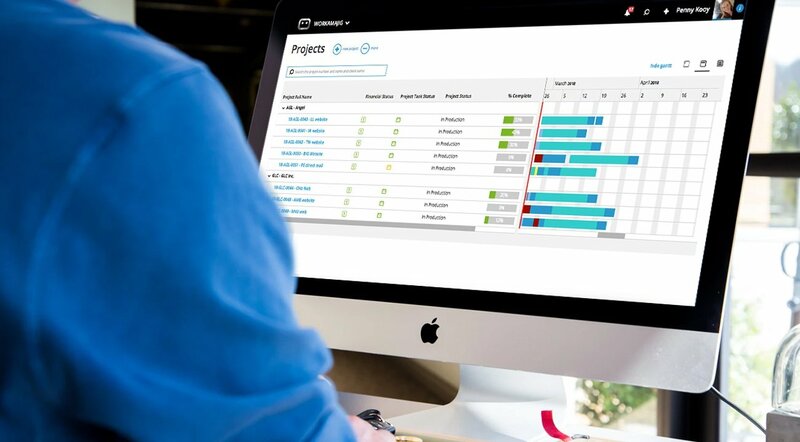 Create detailed schedules and set deadlines for each stage of a project. Make assignments to several departments, including the creative teams. Meet with clients to learn project details and give progress updates. Track projects and workloads and make adjustments when necessary. Traffic managers are detailed oriented and very organized. They lead people and teams under tight deadlines, but they handle pressure well. They also need to communicate well and interact effectively with others. Great traffic managers are usually outgoing people persons who excel at problem-solving. Skilled traffic managers typically work under a project manager and handle the day-to-day of managing a project. As such, you need candidates who excel at communication and have strong organizational skills. Besides their work experience and education, consider conducting behavioral interviews to understand how to manage their own goals and behavior. For example, you could ask them how they went about achieving a personal milestone, or how they organize their daily life. Even something as simple as asking about how they plan their vacations can reveal a lot about their managerial style. Account directors oversee account managers and direct their daily operations. They create account strategies to drive sales across the agency. They also create presentations and proposals for potential customers to land new clients and accounts. As the direct point of contact for multiple clients, account directors are among the most important people in any agency. They’ll usually work directly with the agency’s partners and have a significant say in the overall direction of the company. Prepare goals and account objectives. Build and nurture long-term client relationships, manage sales and revenue records. Motivate and encourage team members to achieve their goals. Establish cost parameters and manage budgets, campaigns, and potential ROIs. Supervise account management and strategies and evaluate employee performance and success. Negotiate contracts for the agency. Account directors spend most of their day working with account managers. Their duties include working to generate new leads and clients by doing research and leveraging networking platforms. They lead a team of account managers to provide quality services to clients. This involves spending time to research, identify, and engage with potential new clients. Additionally, account directors create proposals and write project briefs. They also collaborate with the campaign management team regarding campaign execution. Account directors must have a lot of experience in client relationship management. A background in advertising, design, or marketing is also necessary. They must be able to plan at a high level. In terms of soft skills, they are confident and persuasive with creative projects. They must be adept at managing teams and have exceptional communication skills. They are also detailed oriented and understand the importance of sticking to a budget. As a senior position, you likely won't stumble upon a great account director in a traditional job forum. Rather, you'll have to invest in headhunting or reaching out to targeted candidates personally. LinkedIn is your best bet for finding great account directors. Make a list of people you'd like to work with. Invite them for a cup of coffee. While skills are certainly important, your priority should be to look for people you actually enjoy working with. Nothing will kill a fledgling agency faster than leadership and account directors who don't see eye-to-eye. Culture fit, communication style, broader vision and goals are far more important when hiring for this role. Think of this role as part manager, part creative, and part strategist. A good brand manager would develop the overall strategy for creating a successful brand. She would also work closely with the client’s team to achieve brand-creative alignment. Brand managers typically report to the chief marketing officer or the marketing director. Their responsibilities include analyzing brand positioning and consumer insights. They help shape and communicate the brand’s vision. Direct the brand marketing team that works on brand initiatives. Oversee creative development and motivate the target audience to take action. Determine performance specifications and establish cost parameters and sales estimates. Brand managers measure and report on the performance of all marketing campaigns and evaluate the return on investment. They also watch and track market trends and research consumer markets, as well as competitors’ activities and results. They oversee all marketing and advertising activities and track consumer response. Finally, they align the agency with the brand’s broader direction. Brand managers have strong analytical skills and good instincts about future product concepts. They need to be good listeners and excellent communicators, both verbally and in writing. They’re people-oriented because they work with a wide range of teams. They need to inspire others and be effective team leaders. They also have strong presentation skills and work well under pressure. Brand managers marry managerial experience with the strategic insight of a creative director. Look for candidates who have worked in strategy-focused roles, ideally in your target industry. Entrepreneurial experience is also a plus, especially if the candidate has created a brand of his/her own. You want people who understand branding at a fundamental level, not people who can rattle off the academic definition of a "brand". Try posting your ad on Workamajobs to get resumes from top brand managers in your industry. Posting an ad is free and takes just two minutes. Of course, these are not the only roles in a creative agency. Every agency might also align its roles a little differently. Plus, most agencies have a range of creative roles - copywriters, designers, developers, etc. But on the managerial side, this list covers the most important roles in modern agencies. The exact titles might differ, but the range of responsibilities will largely be the same. Try looking for candidates who have prior experience in using an agency management system such as Workamajig. Click the banner below to see how Workamajig can change the way your agency functions.